Products are back in stock! We just unloaded our kiln yesterday! Just In Time for Movie Night: Popcorn Bowls Are Now Available! 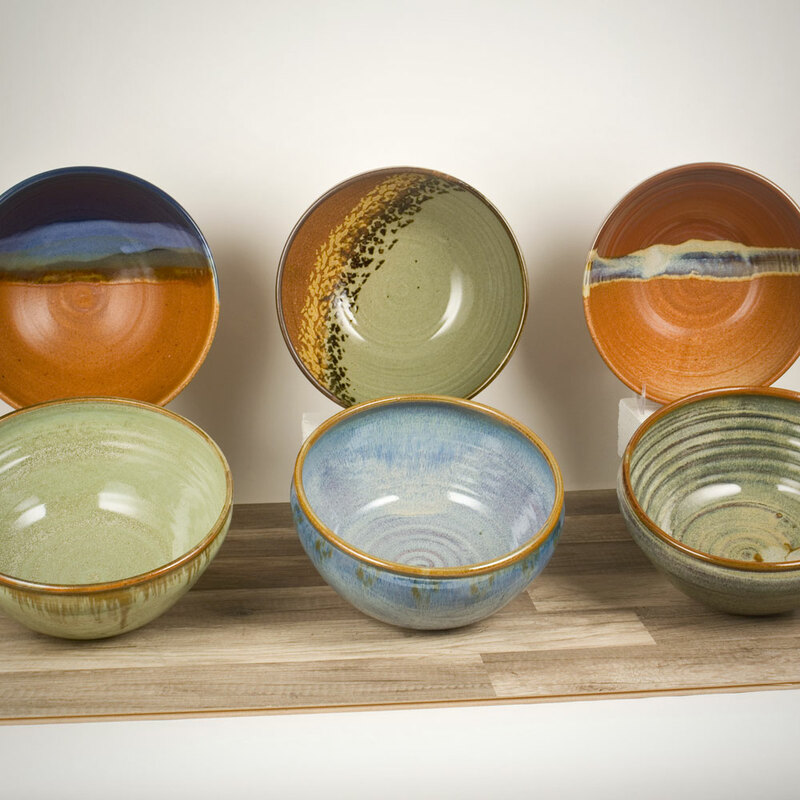 Get ready for movie night with a handmade Popcorn Bowl from Sunset Canyon Pottery! This bowl measures approx. 10"x5" and can hold plenty of snacks for the whole family! Take a look at our web store and pick up your very own Popcorn Bowl today! 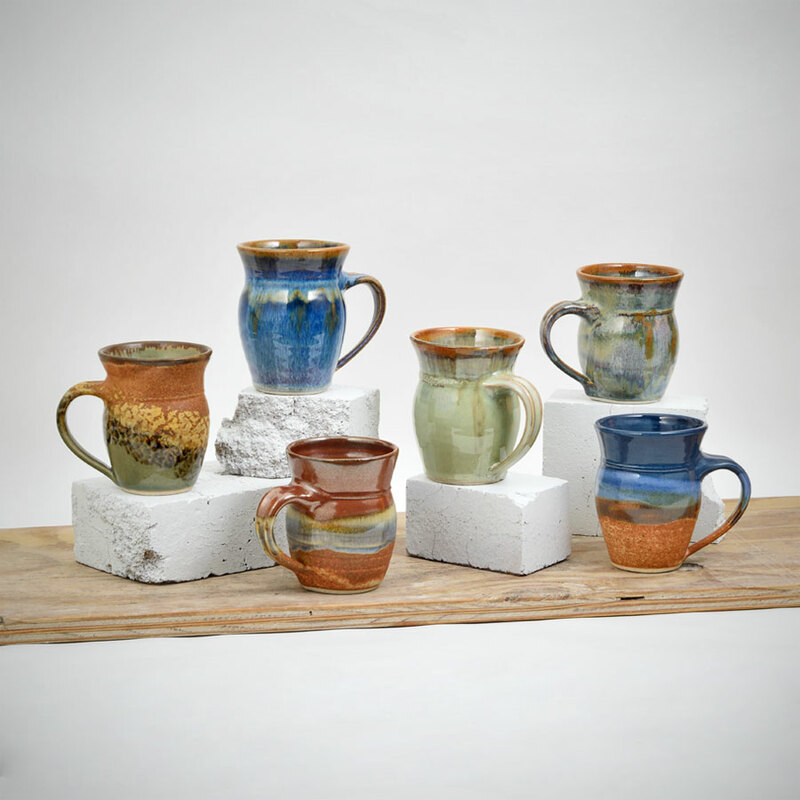 Sunset Canyon Pottery is pleased to announce the rerelease of yet another of our fine pottery pieces: the Creamer & Sugar Set. Coffee and tea are always better with the option of cream & sugar to sweeten your caffeine fix of choice! The cream pitcher is approx. 5x3.25x4.5" (including handle), and the sugar jar is approx. 4x4x5.75" (including knob). 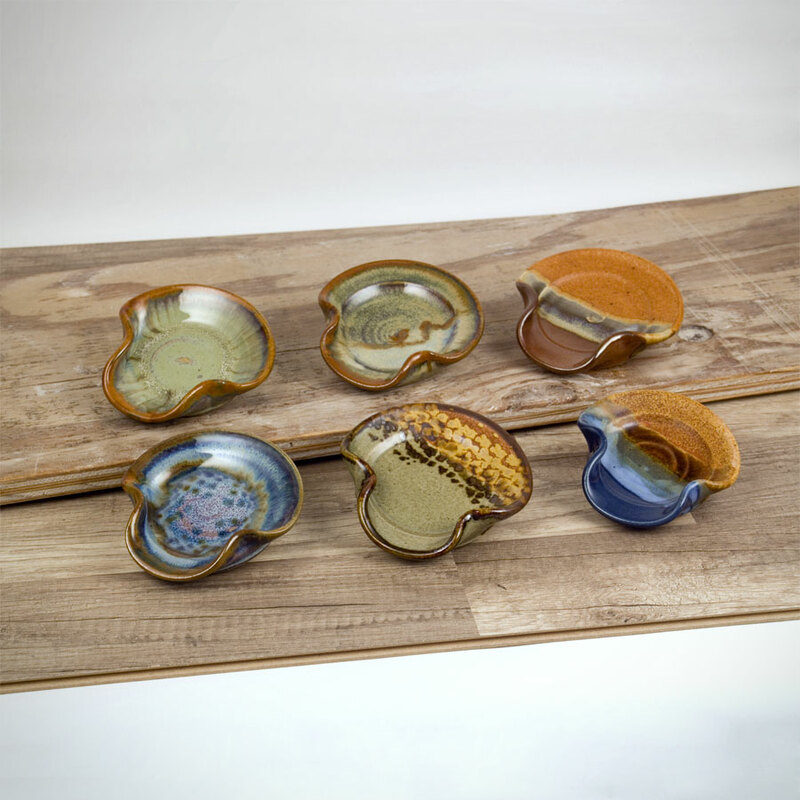 This set goes great with some matching mugs, a butter tray, or our recently released honey pot. 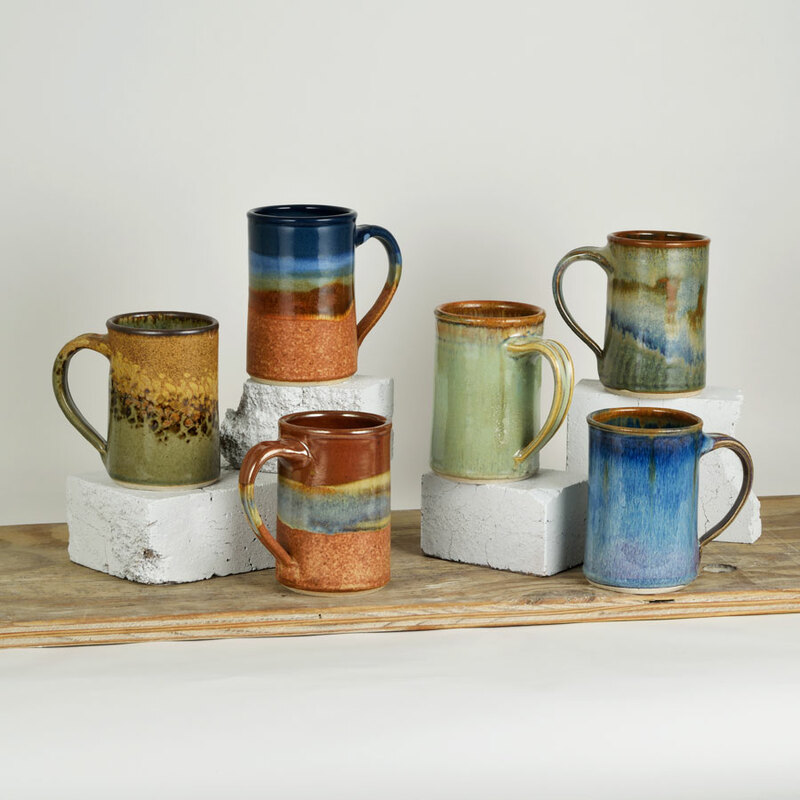 Swing by our web store to reinvent your breakfast table--and the rest of your kitchen--with wonderful handmade pottery from Sunset Canyon Pottery! 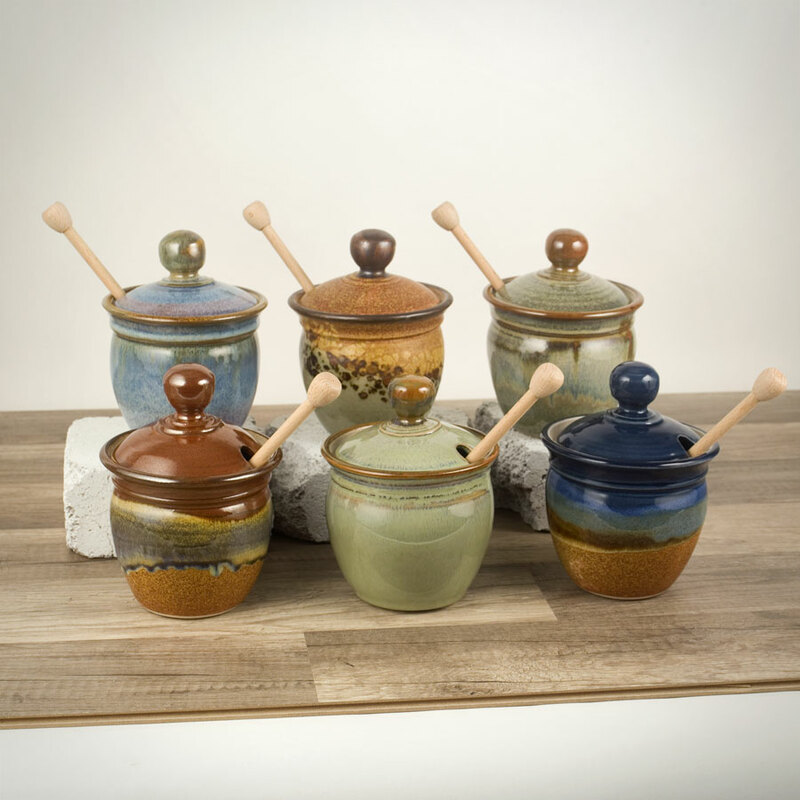 Sweeter Than Honey: Honey Pots Are Now In Stock! The only thing better than fresh honey is being able to store and serve it from one of our handmade honey pots! These pots are approx. 4.5" x 6" and can hold about 12 oz of honey. They even come with a handy dipper for drizzling onto your favorite foods! They make a great addition to your breakfast table, along with our creamer & sugar set and butter tray. 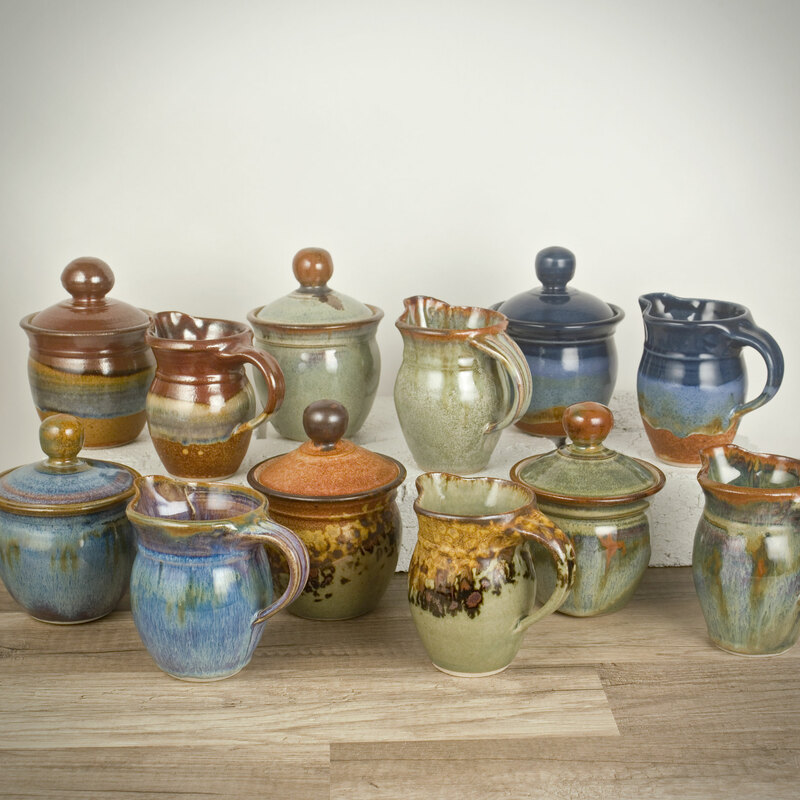 Add a touch of sweetness to your day with a honey pot from Sunset Canyon Pottery! Hi everyone! 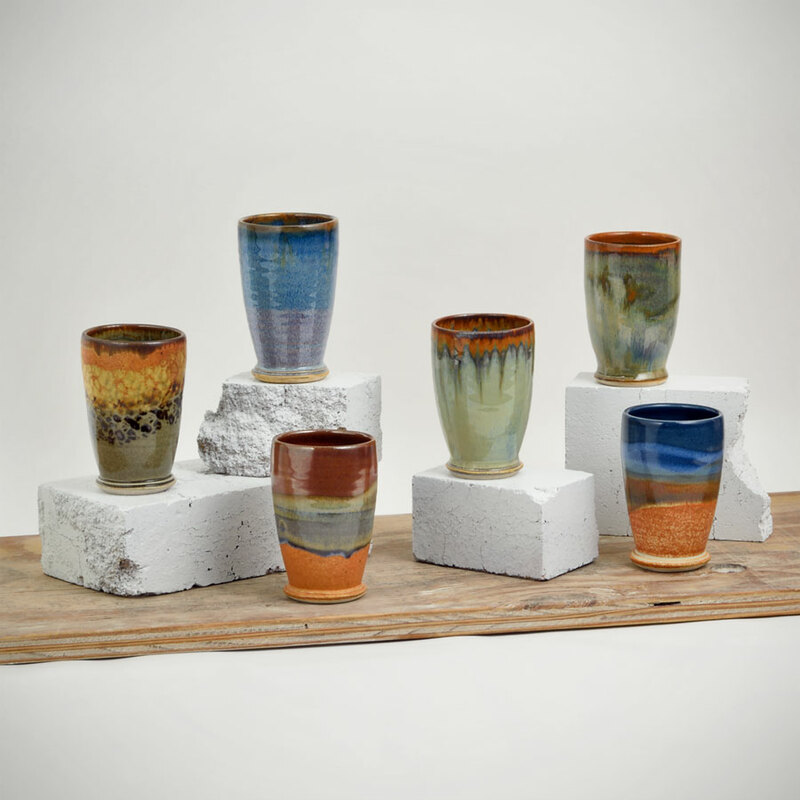 As cooler weather approaches, we wanted to share with you that we've recently restocked our drinkware items. This restock includes all mugs and our wine & juice tumblers. 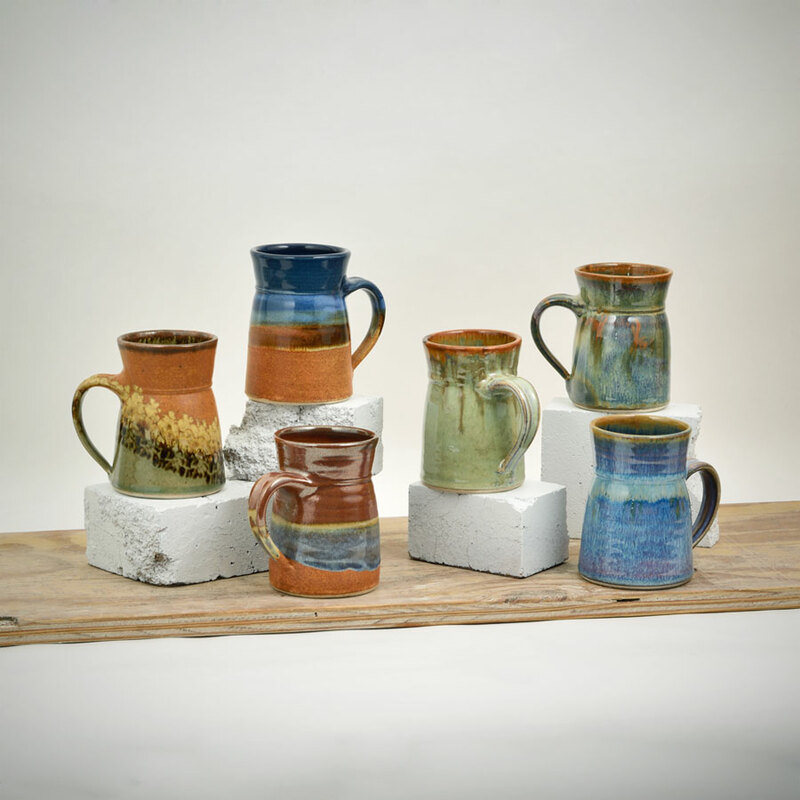 Come take a look today and pick up a new mug for Fall! 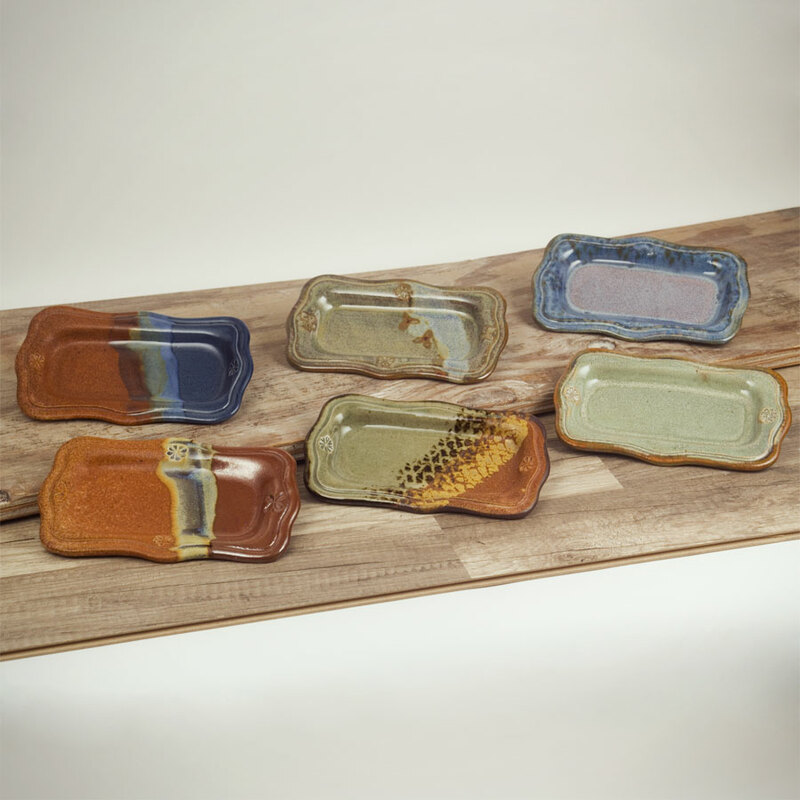 We're excited about another product relaunch on our web store: the appetizer tray! This elegant piece is approximately 12 inches in diameter and features a raised lip with two handles so you can carry your fruit/cheese/crackers/etc. from the kitchen to the party room with ease! 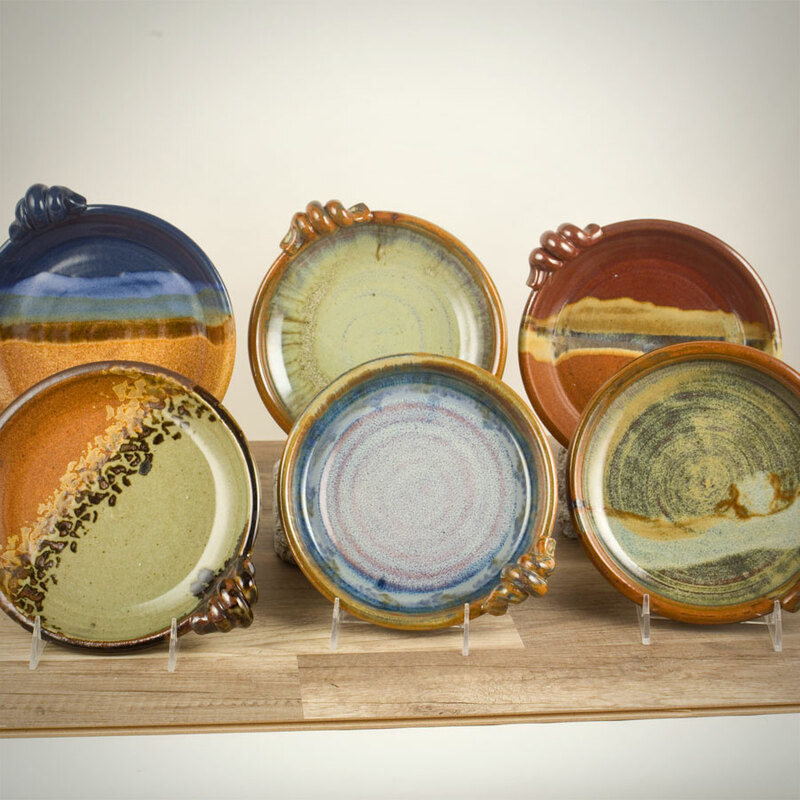 Click on the image above and add our handmade appetizer tray to your Sunset Canyon Pottery collection today! 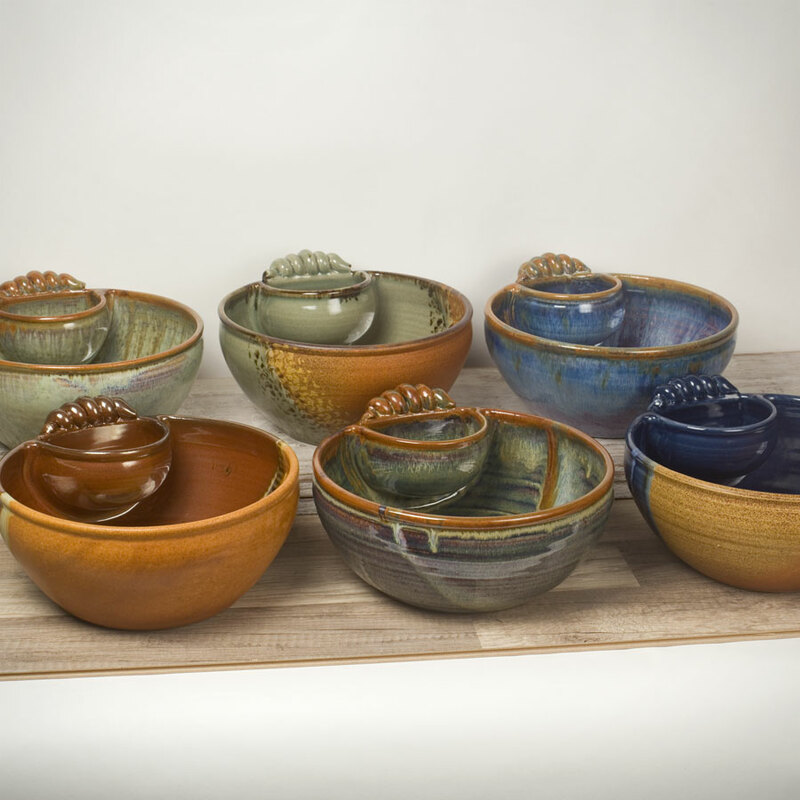 We are excited to announce the return of our Deep Chip & Dip to the Sunset Canyon Pottery online store! 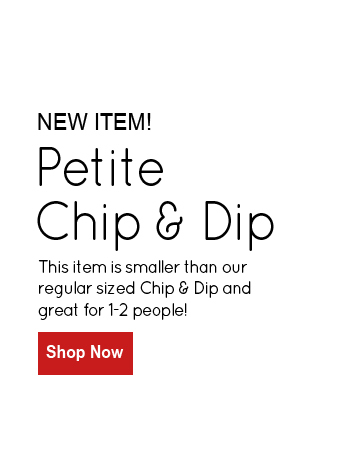 While our Chip & Dip will certainly suit most of your entertaining needs, you might find yourself wanting a little more. More means you won't have to waste valuable party time refilling your chip bowl so often. More means instead of a shrimp cocktail, you can serve a shrimp kegger! 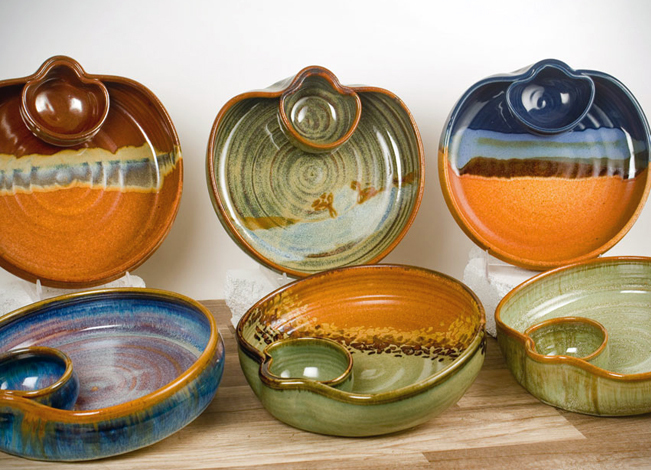 Entertain more with your handmade Deep Chip & Dip from Sunset Canyon Pottery! Butter Trays are now available! 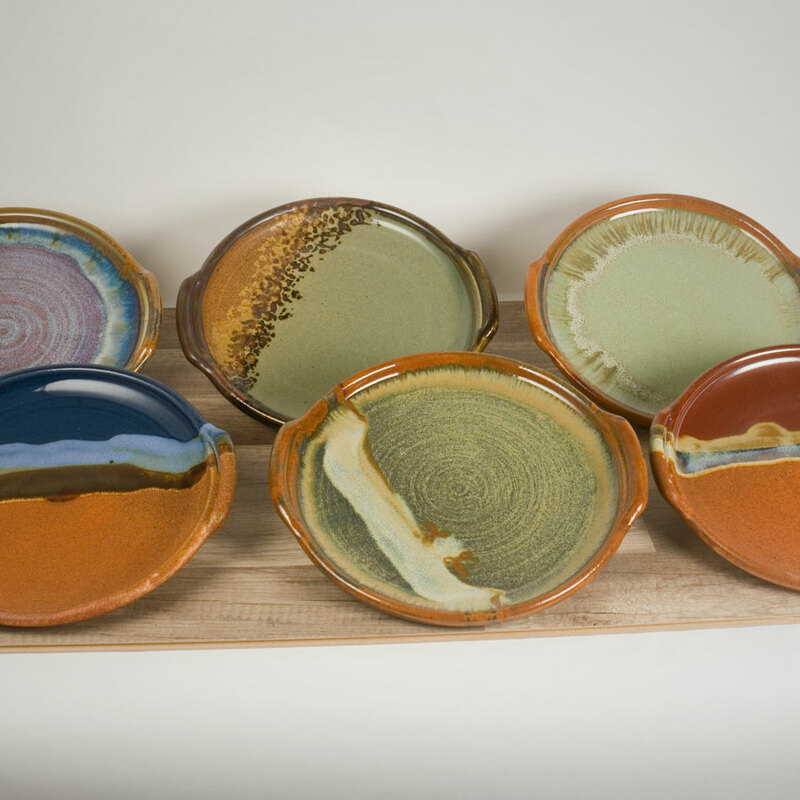 Serve your butter in style with our butter trays! Not just for breakfast though, you can serve snacks or eat sushi with them. You can even use them as a place to put your keys, jewelry, or spare change! (Just make sure to clean the butter off before putting your favorite ring down on one.) Click on the image to buy one today! Our spoon rests are available once again! Give your favorite cooking spoon a fancy place to rest while cooking your delicious, yet messy sauces and stews! Click on the above image to shop for some right now!